Gen. Cooper: Tom, thanks for coming. Q: What are the differences between the British BBFC-18 home video version and the uncut version of this movie? Best Steven Seagal movie yet. Exciting and re-watchable. The best Steven Seagal movie to date. 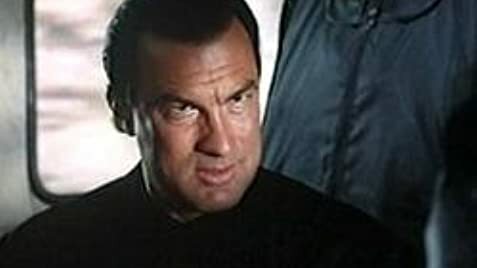 This is the second, and apparently the last, in the series in which Seagal plays Casey Ryback, an ex-Navy SEAL Captain, who, as explained in Under Siege, was demoted for punching out a superior for poor intelligence which got many of his men killed. In Under Siege 2, his character has been promoted from Chief to Lieutenant, although we only find that out in the end. Unlike some of his earlier movies in which Seagal fights for causes, specifically liberal environmental issues, here Seagal is fighting strictly for family and Country. The first scene starts off with Seagal making his appearance in civilian clothes to dramatic music. We learn the grim news that his character's only brother and sister-in-law were killed in a plane crash, leaving his only relative, a niece, still alive. He accompanies the teenager on a train ride from Denver to LA. He has the bad luck, but good for his Country, to be on the train that is attacked by terrorists bent on destroying Washington, D.C., and the US eastern coast for profit only. The maniacal would-be killer of millions is character Travis Dane, recently fired by a Government agency. The terrorist method is a high-tech powerful new weapon orbiting the earth and the train moving through lonely mountains provides the screen, as in "Dark Territory". Seagal seems somewhat lucky to avoid being killed early on, but then becomes a locomotive of destruction for the bad guys. Andy Romano returns as the full admiral, chairman of the joint chiefs of staff and provides a continuity from the first Under Siege movie. 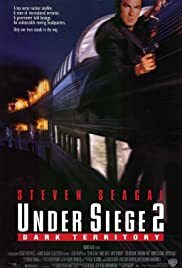 This is all action showing Seagal as a dedicated and deadly force of protection for the train hostages and the citizens to the east. The action moves, and some of the death blows are right out of the military manual. Watchable over and over and still exciting. 44 of 69 people found this review helpful. Was this review helpful to you?